I invite you to attend one of the three upcoming summer meetings. You will get first-hand knowledge of programs and training offered throughout the state and the Order. 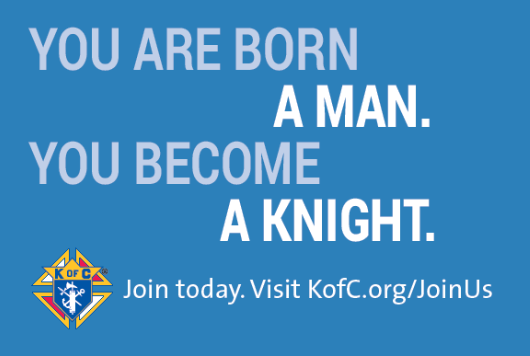 Grand Knights, Financial Secretaries, and District Deputies are expected to attend at least one meeting. Other members and officers are encouraged to attend a meeting. The more who hear the message, the better it is for your council, the district and the state. Details will be provided to you once you have indicated which meeting you plan to attend. For planning purposes, please provide information to the Executive Secretary Raymond Sargent. You can send your response no later than June 8th by mail (116 Farview Drive, Sanford 04073), by e-mail (rascmw@gmail.com), or by phone ((207) 324-7589 or (207) 651-6636).